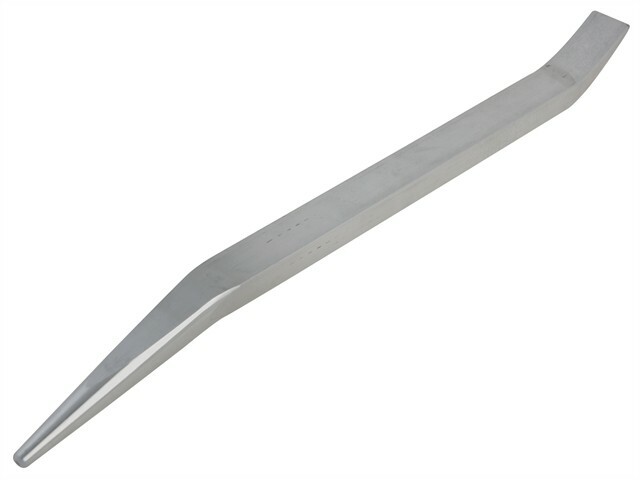 The Hultafors F430 Wrecking Bar is manufactured from aluminium with a cone-shaped point. Used when aligning flanges with bolt holes and for bending copper pipes with care. The bar is inserted in the pipe which is then heated up and bent to shape. This prevents damage to the actual pipe end. Very common when fitting car body components. Aluminium is easier and more comfortable to work with, does not rust and can handle the cold better.